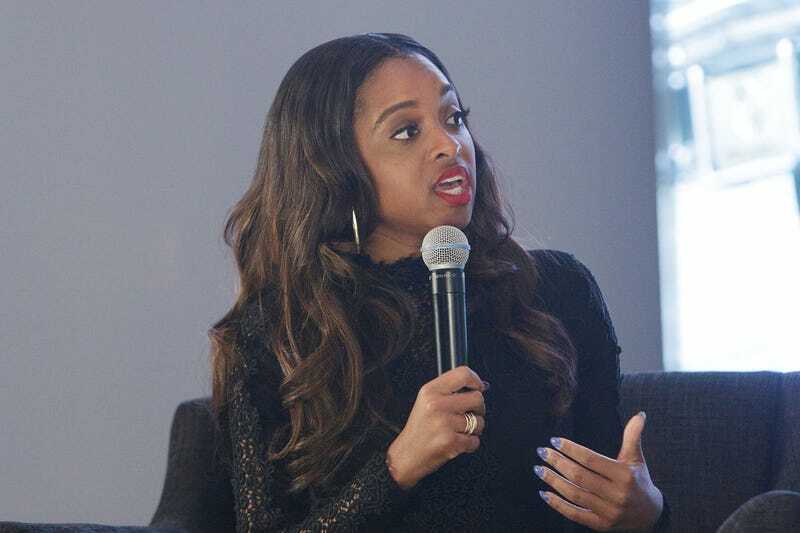 Tamika Mallory, the co-chair of the Women’s March on Washington, says that she was kicked off an American Airlines flight on her way back home to New York from Miami after a pilot got involved in a seat dispute that she had taken up with a gate agent. According to Mallory, the pilot took it upon himself to insert himself into a conversation she was having with an agent at the gate, moved in to scold her and then had her called up from her seat after she had let the incident go and boarded the flight, only to remove her from the plane. “It definitely was white male aggression. I was singled out, I was disrespected and he was trying to intimidate me. I was discriminated against,” Mallory told the New York Daily News. As a result of missing the flight, Mallory, who was in Miami for the Revolt Music Conference, missed the wedding of the Rev. Al Sharpton’s daughter Sunday afternoon. Mallory says that the incident began when she got to Miami International Airport and used an airport kiosk to change her seat from a middle seat to an aisle seat. Mallory, however, says she was ready to move along with her day and her plans when the pilot, who had apparently overheard part of the exchange, stopped her. The pilot, Mallory says, blasted her, claiming that the gate agent had “nothing to do” with the seat discrepancy and that it was Mallory who had been disrespectful. Mallory says that she boarded the flight without incident and sat down in her assigned middle seat, but an announcement then called her back up to the front of the plane, where the pilot then had her removed. The activist says that she wasn’t told why she was being removed. The cops soon arrived and Mallory got off the plane. Someone with whom she was traveling, who had remained in his seat while she went to the front of the plane, was also removed from the flight. After Mallory sent out a series of tweets, tagging the airline, a rep was able to get her to rebook a flight for Sunday evening, but she still received no explanation as to why she was removed from the original flight. American Airlines, for its part, said it was taking the allegations seriously and would look into the incident.